Writing is a salve for life's bumps and bruises. Through the process of writing, the transformation of giving voice to their experiences becomes the Comadres' vehicle to creativity. This book will touch your soul, reach in and reawaken your spirit to speak your own truths. 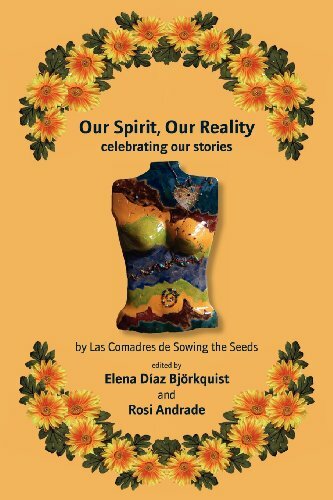 Writing as Healing begins the first section in this anthology of the Sowing the Seeds women's writing group and sets the stage for what is to come. The rich outpouring of lives lived reflected through story and poetry fills the reader with a nostalgia rarely glimpsed at during the day-to-day act of living, where regrets often fill the void of things left unsaid. Since 2000, Sowing the Seeds, a women's writing collective, has been active in Tucson, Arizona. Our mission is to promote the humanities in our community. We do this through monthly meetings to discuss and critique our writing, by participating in writing and art activities, and by inviting authors to present writing workshops. Through a comadre relationship, we promote women's writing, readings, and publication by sponsoring writing workshops and conferences for the women in our community.